There's another added cost of doing business for cigar companies, at least for those that sell tobacco products in the United States—quarterly user fees. Whether a large or small cigar company, most will have to pay the Food and Drug Administration user fees that could add up to a combined $65 million per year for the industry. Last month, the FDA expanded its authority over tobacco products by issuing a final rule that placed all tobacco products, including cigars, under federal regulation. 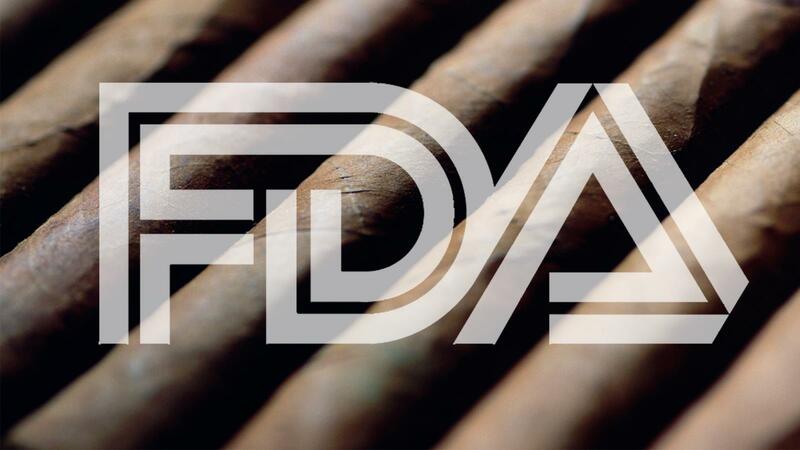 As part of the new ruling, domestic manufacturers and importers of cigars are now required to submit federal excise tax information to the FDA on a monthly basis, starting August 8, 2016, under the Federal Food, Drug, and Cosmetic Act (FD&C Act). The FDA will use this data to calculate user fees for cigar companies on a quarterly basis. User fees will be paid directly to the FDA, and will fund the organization's ongoing tobacco regulation activities. "Tobacco product user fees are the sole source of funding for FDA's regulation of tobacco products," stated the FDA in its official user fee document issued on May 10. "Therefore, FDA considers these fees to be critical to the agency's ability to achieve its mission to protect and promote the public health. User fees provide FDA with a source of stable, consistent funding that has made possible our implementation of the Tobacco Control Act." Since 2009, the FDA has been collecting user fees from domestic manufacturers and importers of cigarettes, snuff, chewing tobacco and roll-your-own tobacco. The FDA considers each category of tobacco product—cigarettes, snuff, chewing tobacco and roll-your-own tobacco—as a separate tobacco class. Cigars and pipe tobacco are now two new classes of tobacco product that must pay user fees to the FDA. The cigar class encompasses both premium and machine made products. The FDA divides the burden of user fees amongst the tobacco classes based on the combined total of federal excise taxes for each class. Simply stated, the more cigars a company sells, the more it's taxed. The more it's taxed, the higher the user fee. "By statute, Congress set an annual max on the amount of tobacco user fees FDA can collect," said a representative from the cigar industry. "The amount increases every fiscal year. For fiscal year 2016, it was $599 million; $635 million in fiscal year 2017; $672 million in fiscal year 2018 and is fixed at $712 million in fiscal year 2019 and beyond. Based on total federal excise tax payments for each tobacco product category subject to user fees, an allocation for each category is established." • The FDA seeks $599 million in user fees from the entire tobacco industry for fiscal year 2016. That's the maximum amount allowed by Congress. User fees are then divided amongst cigar companies based on each entity's market share. FDA calculates a cigar company's market share based on the amount of federal excise taxes it paid. Excise taxes are based on volume: the more cigars (units) a company sells the more in federal excise tax it pays. Under this system, cigar companies that paid more federal excise taxes will end up bearing more of the burden of the class's user fees. "Based on each regulated entity's respective total federal excise tax payment, FDA calculates the entity's portion of the category total payment," the representative said. In its Final Ruling ("Requirements for the Submission of Data Needed to Calculate User Fees for Domestic Manufacturers and Importers of Cigars and Pipe Tobacco") FDA describes the calculation: "For the cigar class, FDA will calculate the percentage share for each domestic manufacturer and importer by dividing the federal excise taxes that it paid for the class for the prior fiscal year by the total excise taxes that all domestic manufacturers and importers paid for the class for the prior fiscal year." So if a premium cigar manufacturer, for example, sold 2 million cigars in fiscal year 2016, it would pay the maximum federal tax rate of $0.40 per cigar, which would amount to $805,200 in federal excise tax. In this case, the cigar company would pay 0.1 percent of the cigar class's total federal excise taxes. This percentage is multiplied by the quarterly user fee allocation for the entire cigar class (about $16 million), which means the cigar manufacturer making 2 million cigars would owe the FDA approximately $20,481 per quarter in user fees. Because the FDA's deeming rule is not effective until August 8, 2016, the cigar class will not owe any user fees for fiscal year 2016. However, domestic manufacturers and importers of cigars must begin submitting data required by Section 1150.5 (21 CFR 1150.5) to the FDA no later than August 20, 2016, so that cigar entities may begin paying user fees on October 1, 2017.